Place the butter, sugar and vanilla in a food processor and process until smooth. Add the flour, egg and extra egg yolk and process until a smooth dough forms. Turn the dough out onto a lightly floured surface and divide in half. Roll each piece out between sheets of non-stick baking paper until 5mm thick. Refrigerate for 10 minutes or until firm. Remove the top sheets of baking paper from the dough. 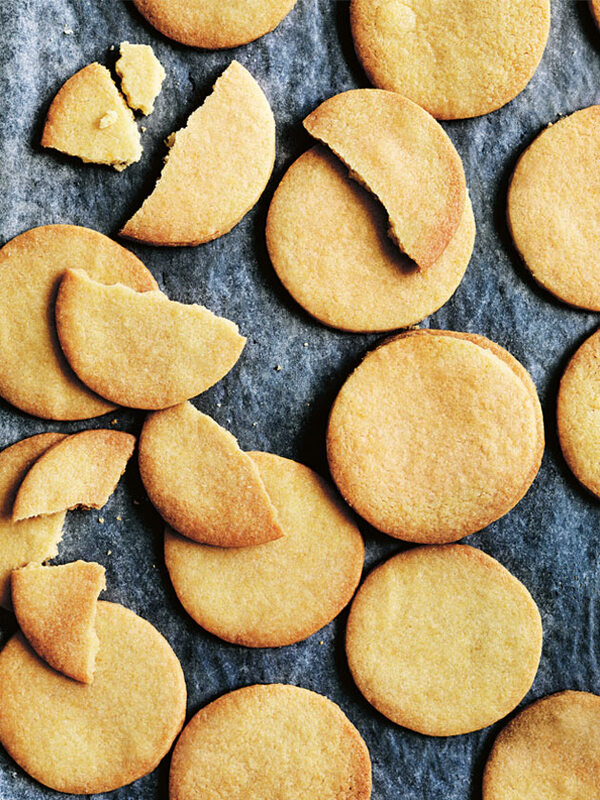 Using a 6cm round cookie cutter, cut shapes from the dough, re-rolling as necessary. Place the rounds on lightly greased baking trays lined with non-stick baking paper and bake for 12–14 minutes or until golden. Allow to cool on trays for 10 minutes before transferring onto wire racks to cool. Makes 44.